FREE for a limited time! 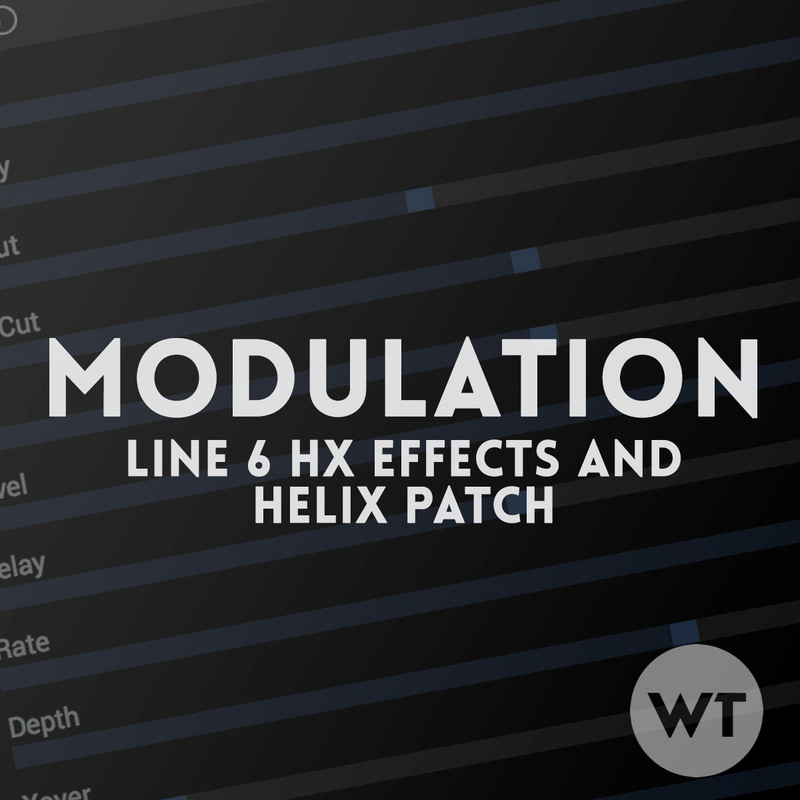 Modulation patch for the Line 6 HX Effects and Helix. Six mod effects meticulously dialed in for modern worship music. IMPORTANT: Because this patch uses effects models that were not included with the initial release of the HX Effects and Helix, it is very important that you upgrade the firmware on your Helix and the Helix software from Line 6 to the latest version (2.5 as of the release of this patch) before installing this patch. Otherwise you will have missing effects. You will also need the latest Helix editor (as of the release of this patch, it’s called ‘HX Edit’) to transfer this patch to your HX Effects and Helix. Tremolo: We included two tremolo settings – one is more prounounced (Deep) than the other (Subtle). These are not mapped to the tap tempo, so they will sound the same at any tempo. We find that when tremolo is locked into the tempo, it’s effect is diminished. Double Take: This is a doubler effect that is pretty interesting. It’s not something we would use all the time, but if you want something unique, give it a shot. Dual Pitch (POG): The polyphonic octave tracking (when you play more than one note) isn’t great in the Helix, so while this will sound like a POG when you play single notes, it won’t work as well with full chords or multiple notes. We set this up to give you an octave up sound mixed with your original signal. Why did we make a patch of just mod effects? This patch is part of our ‘Building Blocks’ series – a collection of patches you can use to create a database of effects sounds. The idea is you can have a collection of modulation sounds that are specifically dialed in for praise and worship music that you can pick from to build your own patches. You can leave this patch in your HX Effects or Helix, and then copy/paste effects blocks from it into your own patches to create exactly what you want.